Saturday, Sept. 27, 2014 || 10:00 a.m. - 3:00 p.m.
Make sure to come see our puppet show at 12:45 p.m.! 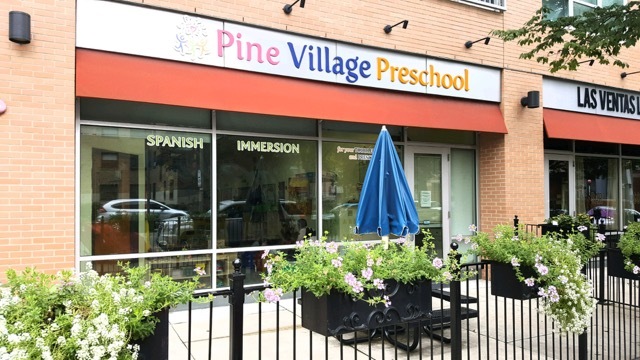 Monday, October 27, 2014 // 6:00 p.m.
Our South End school is a special place that holds the unique title of first fully designed and built by PVP location. Our South End school is a very special place, and holds the truly unique title of our first fully designed and “built by PVP” location. We are located at 700 Harrison Ave., approximately four blocks down from Boston Medical Center, in the heart of the culturally diverse South End neighborhood of Boston. Our South End school is flooded with natural light from front to back and has an open, airy feel. Our bright and sunny classrooms surround our community room where parents can gather together in the morning for a chat or transition their children into the day gently with a book or a puzzle.